Make a powder of 14-15 plain biscuits. 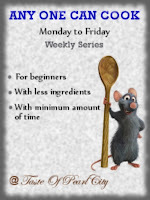 Sieve and use the fine biscuit powder. 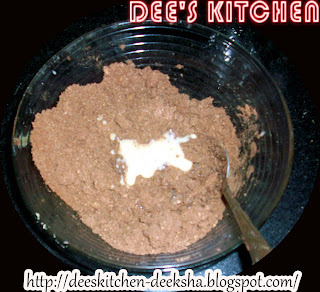 In a mixing bowl take powdered biscuit powder, coco powder, 1 tsp butter and 2-3 spoons of condense milk. Mic it very well to make a smooth dough. In another bowl mix dessicated coconut and remaining condense milk to form little white balls. Prepare small balls and keep aside. Now grease your fingers and palm with melted butter. Take a small amount of mixture from the brown dough. Make ball and flatten it and place little white ball in it and cover with another small brown flatten ball. Close the sides tightly to form a big ladoo. Make other ladoos in the same way. 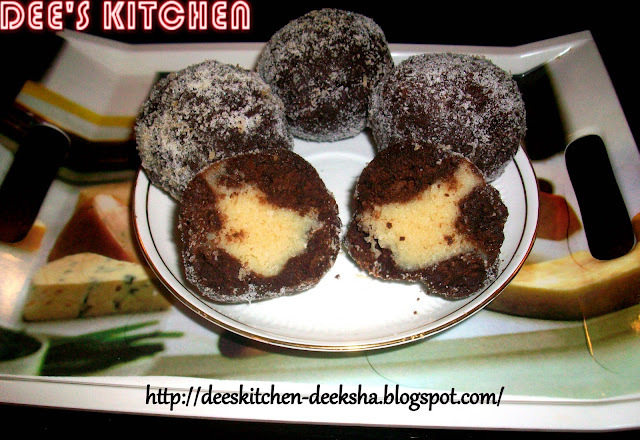 Roll the ladoos in the dry coconut powder. Cut from the center and serve...!!! Its so tempting!! nice recipe dear.. 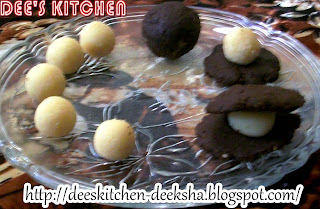 Very cute looking chocolate laddoos,loved the simple recipe. So easy & looks so tasty!! 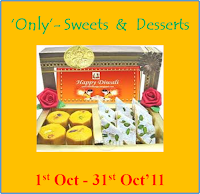 WOw super tempting laddoos,feel like grabbing some..
Oooh! Yummy! Just can't resist these yummy ladoos. They are tempting so much. Love this chocolate recipe. Yummy yum laddus.. 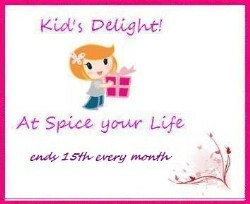 Very tempting !! Laddoos looks perfect, yummy, superb and tempting. Nice recipe. Too good ~ chocolaty n yum! so easy and delicious ladoos, sure these are kids delight.. There is so much inspiration in the blogging world. The other day I saw mango laddu and now this.. so creative and delicious. 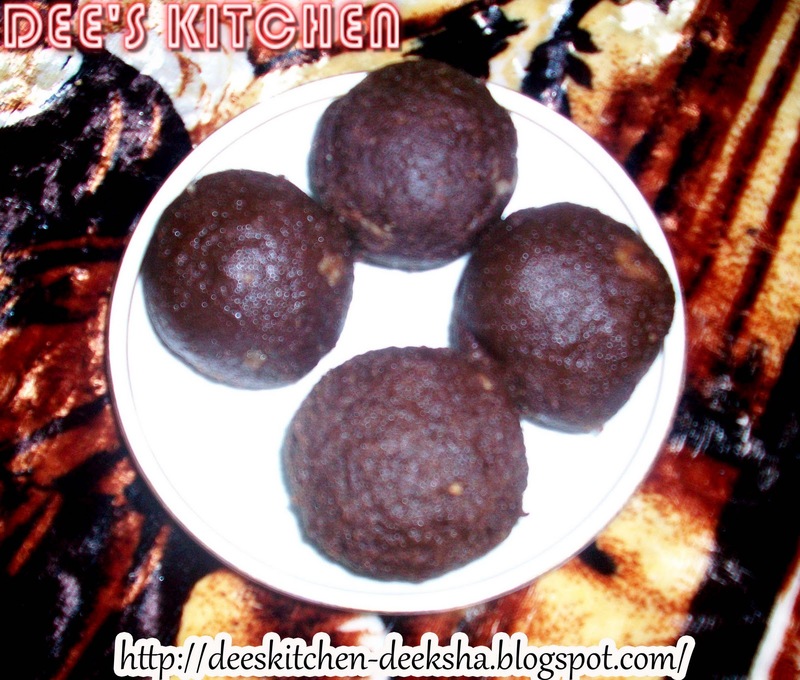 So yumm chocolate Laddu,perfect recipe for kids of all ages.U can get addicted to it. Delicious..innovative and love the chocolaty look and flavour.